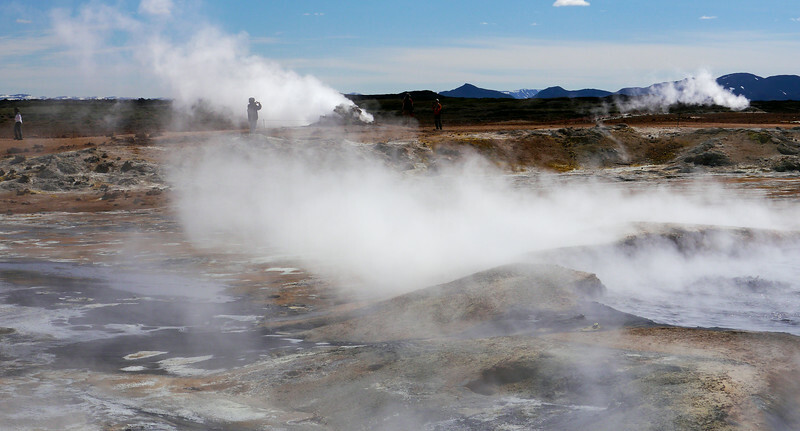 Namafjall Hverir (Namafjall geysers/hot springs). There are also a number of fumaroles, mud pools and mud pots. This field is one of the largest in Iceland.